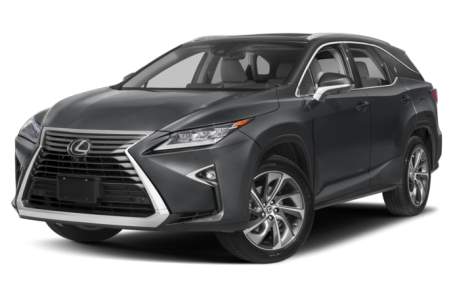 The 2019 Lexus RX 350L is the long-body variant of the mid-size luxury RX crossover. This configuration is slightly longer than the regular RX, and it has additional third-row seating for seven passengers. Powering the RX 350L is a standard 295-hp, 3.5-liter V-6 engine mated to an eight-speed automatic transmission. Front-wheel drive comes standard, while all-wheel drive is available. Maximum cargo capacity is 58.5 cubic feet with the second- and third-row seats folded down.